The activated charcoal mask is gaining a hype these days and frankly speaking they are really good at removing dirt from deep pores. The mask that I am going to review today contains not only activated charcoal but also coffee, clay and fruit extracts *sounds exciting right? * I have been eyeing this product for a really long time and I am happy that I finally got the chance to try this. Before jumping into the review, let me first introduce this brand Mamaearth to you. Mamaearth aim to build a brand which is your friend, every parent’s friend. A friend who understands you, knows your issues and tries hard to resolve them, well most of them. A brand which every parent like you and me can trust, a brand which intends to make lives of mums & expectant mums better and beautiful. A brand which welcomes all our babies to a healthy and a safe world. 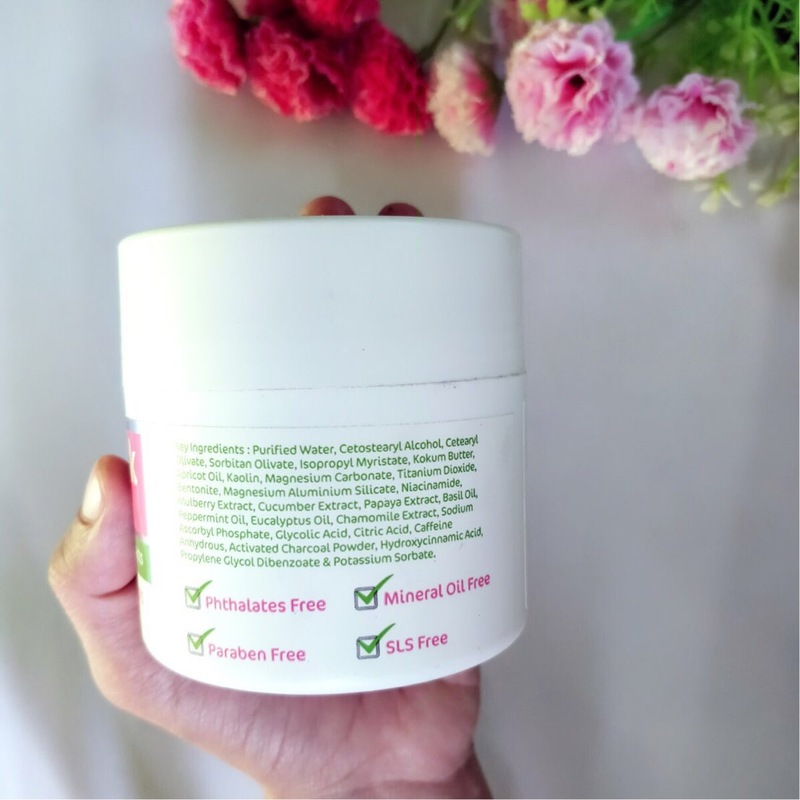 We aspire to take care of every parents & baby’s well-being from head to toe with safe, toxin-free, international standard products which you can choose without having to think twice. 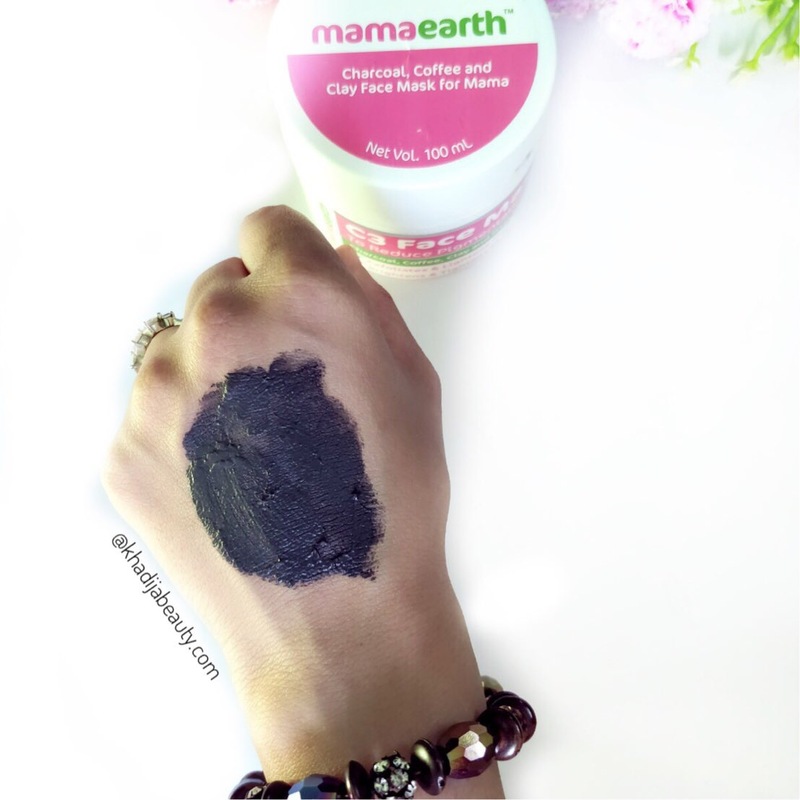 MamaEarth’s Charcoal, Coffee & Clay Face Mask will be helpful enough to get your face back to its original glow. It has a mix of mulberry, cucumber, and papaya fruit extracts which are useful in reducing blemishes and eliminating toxins. 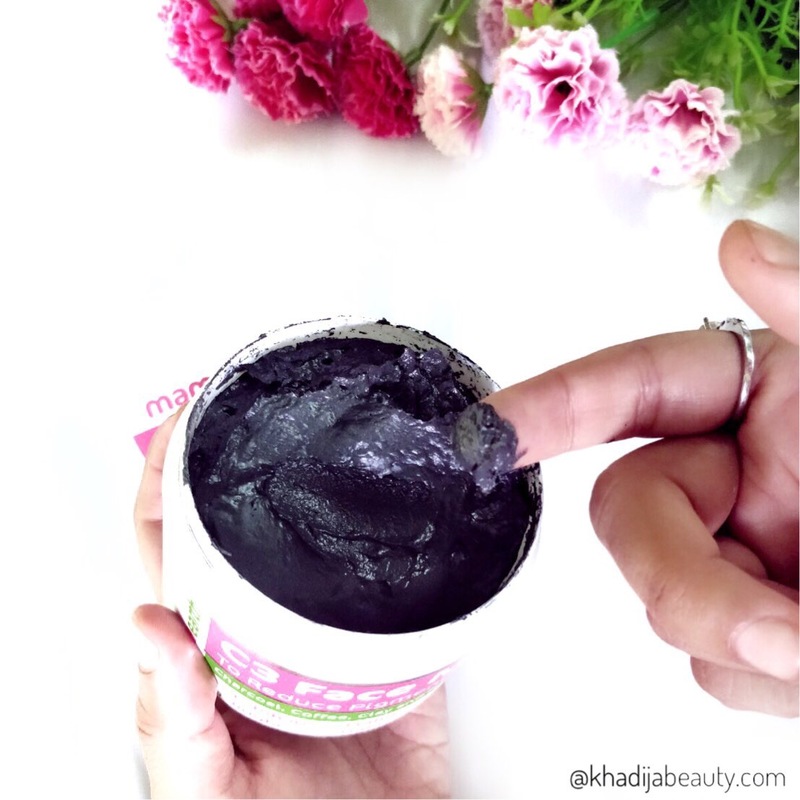 Kaolin clay and activated charcoal in the mask help in removing dead skin cells and reducing skin inflammations like pimples, redness, and acne from the face. Our face mask can also help in brightening skin tone and provide a toned appearance, thanks to the coffee seed extracts in it. Buy our charcoal mask and get the best of nature provide you with an all natural glow and a healthy looking skin. 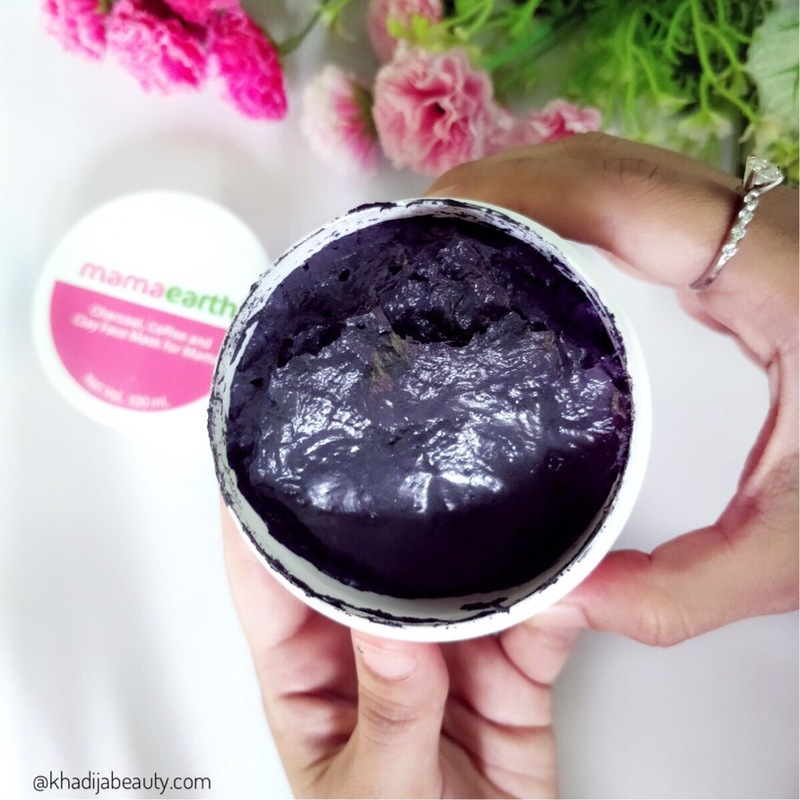 How is the color and consistency of MamaEarth C3 face mask? As the name describes this charcoal face mask is blaaaack in color. This mask has a thick paste-like consistency. The perfect consistency for it to be a mask. I love face masks that are thick paste. It spreads easily on the face. And this mask is called C3 face mask because it includes 3 Cs in its ingredients- Charcoal (obvious), Coffee and Clay (bentonite & kaolin). Besides this, it also contains papaya, mulberry and other fruit extracts. It contains micro exfoliants that you can hardly see but can feel it easily. I apply it evenly all over my face except my under eyes and leave it for 15 minutes to dry. Since this is a clay mask I would suggest you to wash it off when the face mask is 70-80% dry. Do not leave it to dry completely on your face as it may absorb all of the face moisture. Then I wet my face and gently start massaging my face in order to exfoliate my skin. After that, I wash my face with either warm water or just tap water following it up with a moisture. How does it feel when the C3 face mask is on the face? This mask gives a very soothing and cooling sensation to my face. I didn’t get any tingling feeling or irritation. This gave me a real relaxing spa-like feel. This is due to eucalyptus oil and basil oil in it. And the charcoal mask smells like a mix of basil and eucalyptus. How is the after effects? Does this C3 face mask works? Ok, the very first thing that you will experience after washing of this face mask is a baby soft skin. I kid you not it made my skin feel smooth and fresh. And that cooling sensation lasts even after washing the face mask off. I absolutely loved this feeling. It cleansed my skin deeply by sucking out the dirt from the pores. Activated charcoal, bentonite clay and kaolin clay are known for pulling out dirt from the skin. Granules present in this face mask are the made from Coffee (I guess) which helped in mildly exfoliating my skin. I have a very sensitive skin and except turmeric, no other scrub in the face mask would ever suit me. But this one didn’t cause any break out instead it very gently exfoliated my skin by removing dead cells and gave me a soft and supple skin. It gives my face an instant brightness which of course last only for few hours. Once I didn’t get that bright face immediately after washing but instead, my face looked brightened after an hour. So I am confused about this but one thing is sure that it does brighten up the face. Let me know when did this brighten your face? Instantly or after an hour? Whatever or however or whenever it does, I loved that feel. 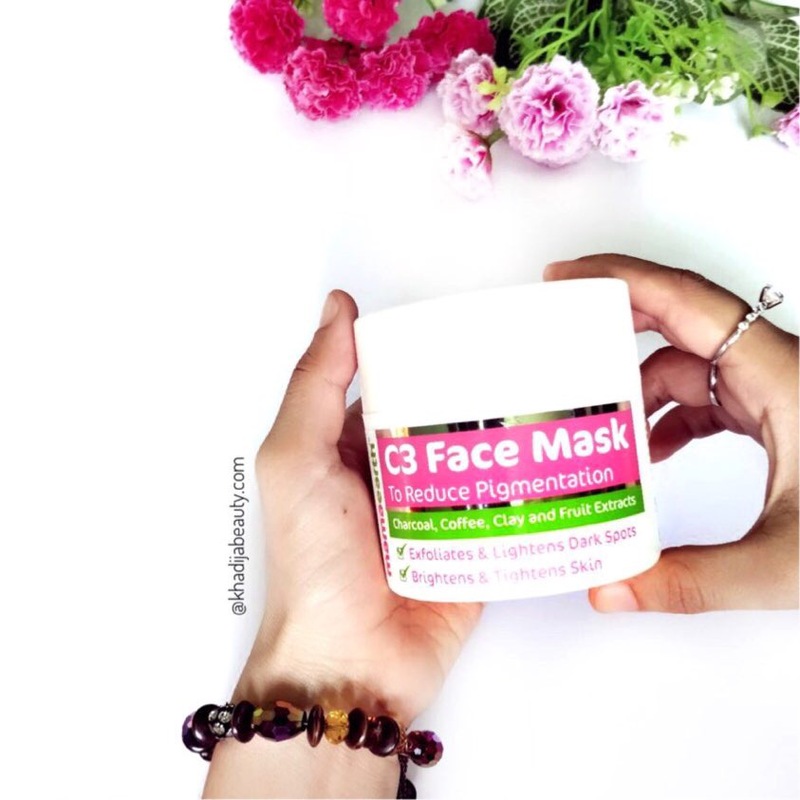 This C3 face mask claims to reduce pigmentations. So I am asking my mom to try this for her pigmentation. I will update you on this after She notices some changes. Does it stands by its claims? It does exfoliate, brightens and tightens the skin. I can’t comment on pigmentation. You have to use it regularly in order to lighten the dark spots and reduce pigmentations. Because pigmentations and dark spots don’t disappear in a jiffy. It’s a slow process. If you are looking for a really good face mask then don’t think twice just go for this. 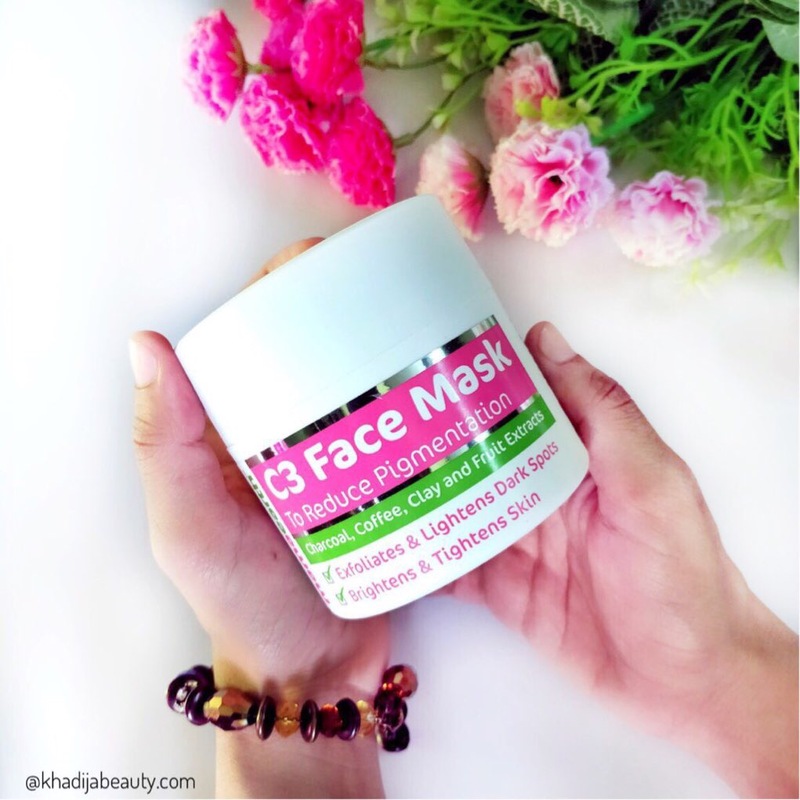 This MamaEarth C3 face mask cleanses the skin, brightens up the face and make the skin soft and supple. I would highly recommend you to try this. That is it guys. I hope these remedies helped you in some way or the other. 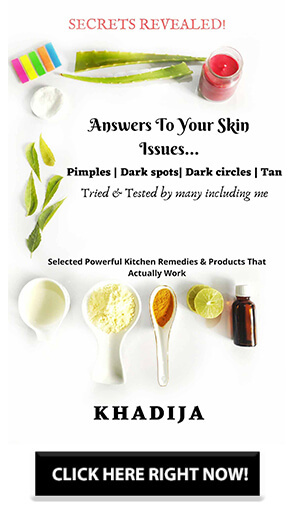 Previous Article← Bid Goodbye to Dark Circles with home remedies- Here’s how! weekly kitne bar ye mask lagana chahiye? You can use this weekly twice or thrice. You can also use this as a spot treatment for pimples. I do that. I have heard a lot about this brand and your review proved it right. Currently I’m trying Aroma magic charcoal face pack but next I’m definitely going to buy this!! It sounds so amazing and worth trying!! I have heard lot of good things about this face mask. Need to try it. It has a really great ingredients list..